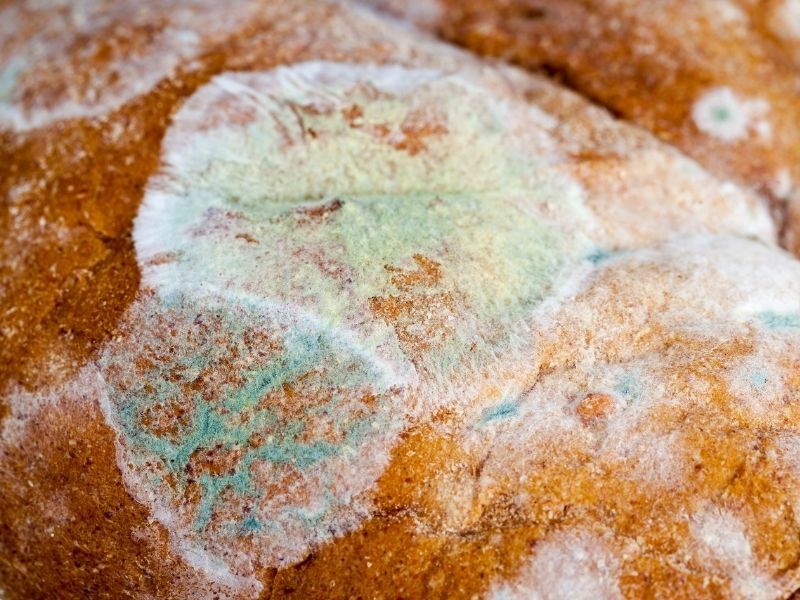 Early warning signs of mold are often overlooked due to a general lack of knowledge. Visual signs of small amounts of mold are often a warning of a much bigger problem. Mold on a wall is typically the result of mold inside that wall growing its way out. The earlier you address mold issues, the easier they are to remove. High Humidity – A relative humidity level of greater than 55% promotes the growth of mold and other fungi. Water/Pipe Leaks – Many mold problems originate from water and pipe leaks since they are often undetected for days, months, or even years if minor enough. Flooding – Mold problems are very common after flooding. It usually requires several days or weeks to fully dry out a structure, giving colonies of black mold more than adequate time to grow. Mildew or Musty Odors – Odors can often be the first or only sign of a potential mold problem. In some cases, moldy smells will only be evident when the air conditioning or heat is turned on, indicating growth within the HVAC system. Increased Allergy or Respiratory Symptoms -Suffering allergic reactions in your home or building could be due to the presence of high levels of mold, especially if other signs are also present. headaches, decreased attention span, difficulty in concentration, and dizziness. Leaky Roof – Like other types of water leaks, water intrusion through the roof is difficult to find until it is too late. If you suspect a leaky roof, check in the attic for signs of water damage or mold growth. humidity level, to ensure it stays within 55-60% RH. Condensation or Rusting – Condensation on or around pipes, windows, or walls is a sign of a leak or high humidity. Rusting on pipes in particular, and anything else metal, is also a sign of a high humidity problem or nearby leak. Lots of House Plants – House plants require consistent watering, which increases moisture levels inside. Cracked, Peeling Paint – This usually means that there is moisture build up behind the paint. By the time the paint shows these signs, the moisture has often had an opportunity to spawn the growth of mold within the wall. Blocked Gutters – Gutters that are blocked can cause water to seep into walls, through the roof, and can cause water to collect at the base of the foundation. Warped Wood – If wooden materials in your home have been infiltrated by enough water to actually warp, then sufficient levels of moisture are probably present to accelerate mold growth. Black Growth in Bathroom Tiles – Tile grout is porous and will allow water penetration, and mold growth behind the tiles themselves. In addition, dirt and other grime (favorite foods of mold) are easily trapped in the grout – an ideal environment for mold to thrive. Loosening of Drywall Tape – This is a sure sign that moisture has infiltrated the wall. Visible Biological/Mold Growth – This may seem like an obvious sign, but many people do not take a little visible mold growth very seriously. However, this can be an indication of a much larger mold growth in less visible places. Clothes Dryers and Other Appliances Not Vented Outdoors – If the steam from these types of appliances is vented inside, then this significant amount of additional moisture creates a great environment for mold to flourish. Poor Ventilation – If the air pressure in your home is “negative”, meaning the air pressure outside is greater than it is inside, then it will force moisture and contaminates back into the home. If the air pressure is well into the “positive” side, then it can cause moisture to be forced into walls. The air pressure in your home should be slightly positive or at least balanced. Presence of Wet Materials Indoors – This can include rags, steam from cooking, indoor clothes lines, carpet, or furniture. If these or other items are damp for extended periods of time, then the moisture level can be high enough to accommodate mold growth.